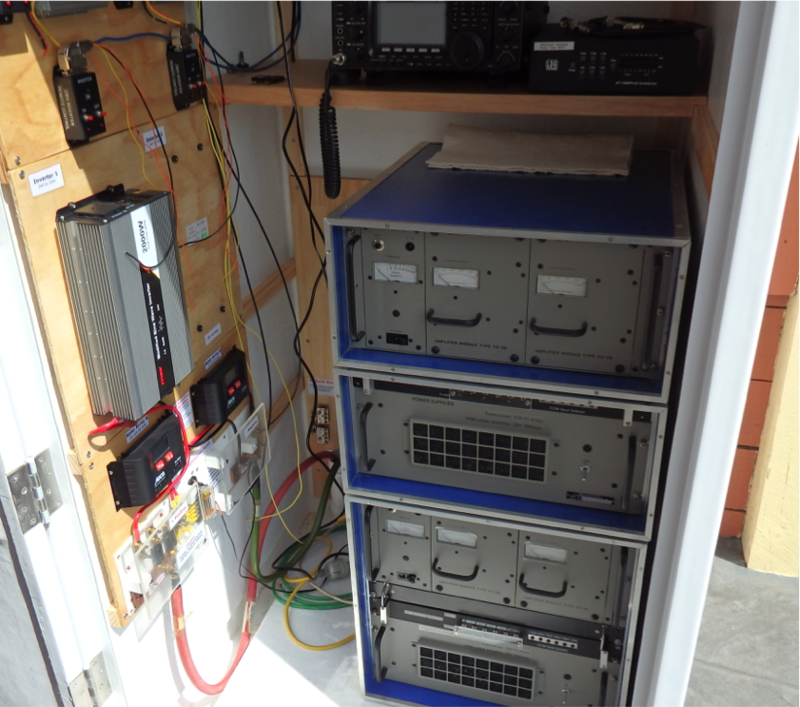 Bernard ZL2BD has been busy over the summer installing the equipment for th Remote Site in the enclosure. Wiring harnesses to connect to the huge battery bank. Completing and testing the SCADA software to operate remotely (SCADA = Supervisory Controller & Data Acquisition). Frank ZL2TTS has been working on this. Cooling circuitry – both assembly and installation. The cooling equipment will be mounted on the enclosure’s front panel. This work is not too far off being completed and the QHUG team will then move to a test period to ensure everthing works correctly, before antennas are constructed and the equipment is installed in the remote site. Mesh nodes on high points will extend the Wellington mesh network into areas where remote sites are likely to be feasible, including the Horowhenua (on the West Coast north of Wellington) and the Wairarapa (to the East of Wellington over the Rimutaka mountain range). In the photo above, amateurs from several branches cooperate to install a mesh node on top of Mt Climie, which looks down over the Wairarapa and the Hutt Valley. 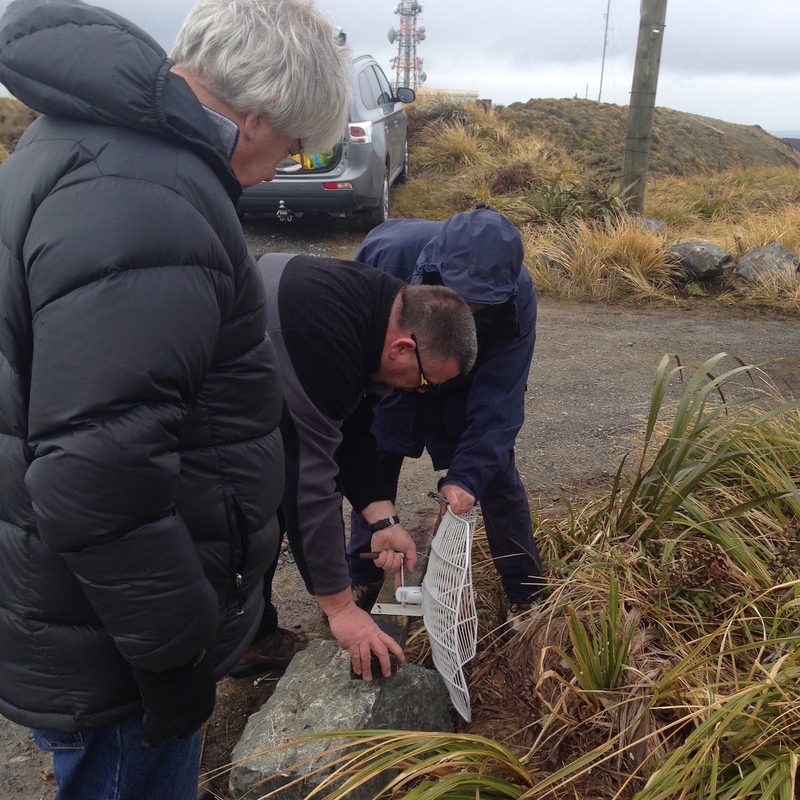 The Mt Climie node gets traffic from another high site at Colonial Knob (near Porirua). James ZL2ET already has an experimental node outside Carterton in the Wairarapa working through Mt Climie. The new QHUG DX and Contesting remote site will be able to be controlled remotely and have audio will be able to be sent to and from the remote site from anywhere in the Wellington Region via the rapidly developing Wellington Region Broadband-Hamnet(TM) network. The first three nodes in the mesh network were established in mid-November 2014. Even at this early stage, the vision was to create a transport mechanism for a remote HF DX/Contesting site. A of the end of October 2015, there are over 30 nodes in the mesh, which stretches from the Kapiti Coast through to Porirua, Upper Hutt and North Wellington. Quartz Hill User Group has already committed resources (in the form of Airgrid M2s) to bring the mesh to potential remote site locations in the Wairarapa (accessible from the new node on Mt Climie) and the Southern Horowhenua (accessible from new nodes on Mt Field that will be up and running shortly, courtesy of Kapiti Branch 69 NZART). More details on the mesh network will be provided here shortly. For those operators not yet on the mesh, check out more information at Broadband-Hamnet.co.nz. For those already on the mesh network, checkout diskstation/wordpress/ for more details.